Handel through his friends; new light on Handel's life and career through looking at the lives of his close friends and the society in which they lived. A balanced biography needs to mix the public and the personal, combining the subject's public deeds, creations and reputation with their personal life and a degree of background colour. 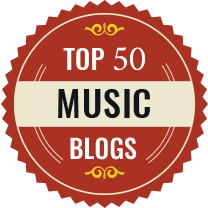 With creative artists, their creative works can often be an indicator to their personal life, but with George Frideric Handel it is different. Few of his major works can really be tied to a sense of his inner life, and we completely lack any documentation for his personal or inner creative life. In biographies, what we are left with is a mixture of reportage, surmise and background colour. Ellen T Harris has been taking a different approach, rather than encompassing the whole monument of Handel's life she is taking it in sections attacking it from different sides and gaining information by looking at his interactions. Her book Handel as Orpheus viewed Handel's stay in Italy through the prism of his Italian cantatas. And the book gave us some surprising insights, the theme running through it was very much about Handel's sexuality. 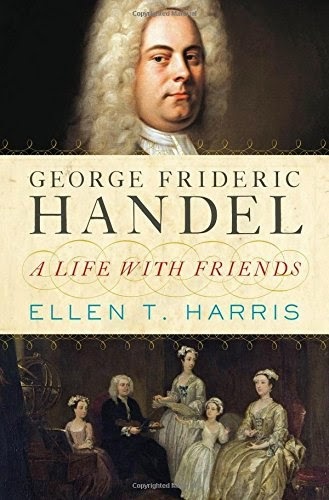 In her new book George Frideric Handel: A Life with Friends (published by W.W. Norton & Co) Harris takes Handel's London friends and teases out a remarkable amount about their lives and how they interacted with Handel. Lacking essential knowledge about Handel's daily and personal life, she rightly thinks that we can gain a lot of information by examining the lives of those closes to Handel. The result in not a biography, but more of a voyage round Handel's life. Harris terms the book 'An intimate portrait of Handel's life and inner circle, modelled after one of the composer's favourite forms: the fugue'. 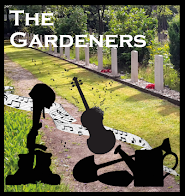 Her approach is broadly thematic with the same characters cropping up in different ways throughout the book and with George Frideric as the main theme. After an Introduction and Before London, there are then chapters on Politics, Patronage and Pension, Commerce and Trade, Music at Home, Marriage, Wealth, and Social Status, Ambition, Law, and Friendship, Making and Collecting, Religion and Charity, Sickness and Death, Wills and Legacies. As the chapters cover overlapping time periods, each has a timeline which covers the events relevant to that chapter. Her starting point is Handel's will, looking at the people to whom he left a legacy. She surmises that these people were those closest to Handel. They form a somewhat disparate bunch, not obviously the friends of a major composer. But few people's close friends form a coherent group, friends are made through a sense of affinity and the people in Handel's will (plus one or two of others) are those who were important to him for personal reasons. In the group of friends there is the painter Goupy, but also a perfumer and a dyer, and quite a few women. They all seemed to have lived close to each other, Harris maps this out making it clear how small a community this was. The way these people's personal lives intersected with Handel brings out another theme of the book, the way the plots and details of Handel's dramatic works reflect the everyday lives of the people around him. One of Handel's friends traded with the East, and so the settings of his operas would not have seemed so exotic. And Harris traces the predominance of Eastern settings in Royal Academy operas and relates it to periods of crisis in the East India Company. There is no direct correlation, but it is fascinating how repeatedly Harris can pull parallels between Handel's works and what was happening in his world at the time he was writing them. 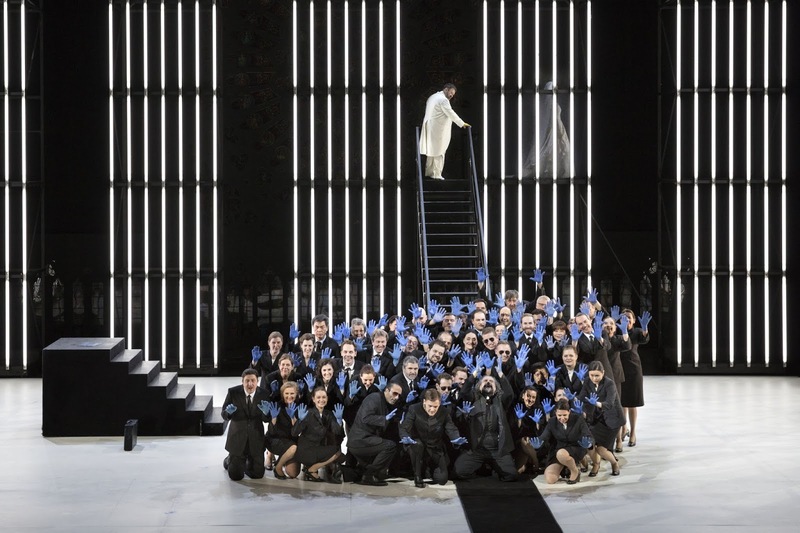 We regard the plots of Handel's operas as convoluted and unbelievable. 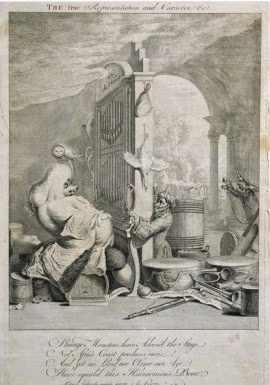 But as Harris traces the forced marriages of Handel's female friends, the alarming penury and family shunning which happened when both women and men married against family wishes, the effects of bankruptcy and the casual attitude to deciding who inherited what, you realise that whilst the overall effects of the opera plots is perhaps convoluted the details of the plots would have resonated to the contemporary audience. This also includes politics, as she also points up echoes in opera plots of some of the events of the period, with the Jacobite scares being very relevant here. When reading biographies of historical figures from the relatively recent past, it is easy to project our own concerns and social mores onto them. By teasing out details of people's lives and putting them in their context in society Harris reveals quite how different the 18th century Londoners were. An obsession was social status runs through everything in a way which we can no longer really understand. This isn't a group biography, there is always a sense that Handel is the main subject of the fugue even when there are moments when other themes come to the foreground. But by examining the lives of those closest to Handel, Harris helps us to put his own life in context. By revealing the fabric of the lives of his friends, we can detect something of the fabric of Handel's own life. Along the way there are some lovely nuggets of information: the Jacobite links in the opera Floridante, the way Handel's career in Italian opera exactly paralleled his original Royal Academy commission from the King as if Handel regarded himself as under obligation, the Deist and anti-Deist concerns which occur in the later works. This isn't a book for those new to the career of George Frideric Handel, for that you need to go to one of the standard biographies. But for those who are familiar with George Frideric and his music, then this is a wonderful book. It illuminates his character and writing in so many ways, and give us a strong sense of the society in which he lived; not a general view of 18th century London society, but a detailed examination of the intimate world of Handel and his friends. Essential reading.